In an unprecedented public push to change Amazon policies, nearly 4,500 employees have put their names to a letter asking CEO Jeff Bezos and the commerce giant’s board of directors to become global leaders in fighting climate change. The letter, posted online Wednesday, is the latest step up in an internal drive by employees for a comprehensive corporate climate strategy. 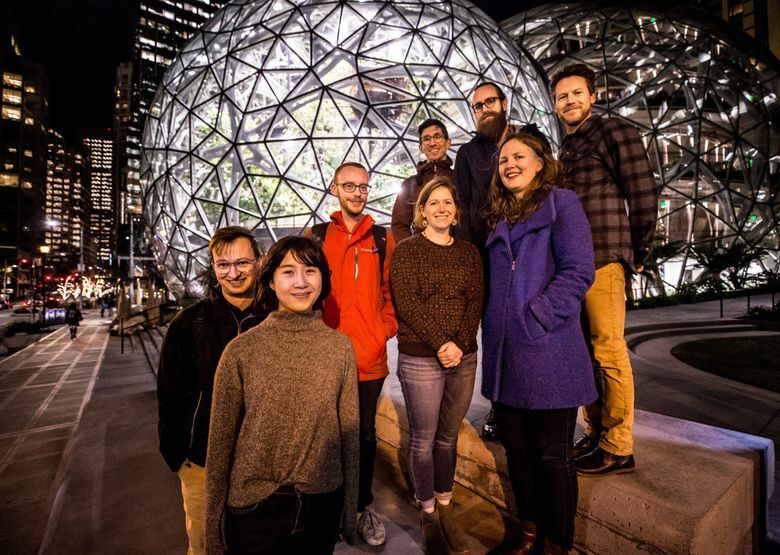 “We have the power to shift entire industries, inspire global action on climate, and lead on the issue of our lifetimes,” the group of employees, calling themselves Amazon Employees for Climate Justice, write. The group is asking Amazon to set timelines consistent with a scientific consensus that calls for greenhouse gas emissions to be cut in half by 2030 to avoid ever-greater climate catastrophes, and commensurate with the company’s industry-leading position. But the company’s board of directors says Amazon is already doing, or planning to do, what the employees are asking for. Amazon, as the avatar of modern consumption-driven capitalism, has become perhaps the biggest target of pressure outside of the fossil-fuels industry for those concerned about climate change. Indeed, it received more activist shareholder proposals on climate and other environmental, social and governance issues this year than any other company, according to the Interfaith Center on Corporate Responsibility. ExxonMobil and Chevron were previously the top targets. The climate push began in December when a small group of employees, who are also company shareholders by virtue of stock earned as part of their compensation, proposed a shareholder resolution asking the company to publicly report on its plans for climate-driven disruptions and reducing fossil fuel dependence across the company. That led to a series of internal meetings with Amazon leaders in which employees asked for support of the resolution. According to the employees, Amazon’s board of directors did not challenge the proposal, so it will go for a vote of the company’s owners at its annual meeting in May. But the board plans to recommend a vote against the proposal, according to a draft statement provided to proponents of the proposal. While the Amazon employees behind the shareholder proposal applaud those efforts, they say Amazon’s climate-related announcements have typically lacked firm timelines and context, such as the company’s total emissions, or have included wiggle words that make them difficult to evaluate. The scientific consensus in the latest report from the Intergovernmental Panel on Climate Change warns that global greenhouse-gas emissions must be reduced 45% below 2010 levels by 2030 and brought to zero by 2050 to preserve a chance of holding global-average temperature increases to 1.5 degrees Celsius — a level of warming that is still expected to cause major, disruptive changes to the Earth’s climate and widespread suffering and loss of life. The Amazon employees who began the effort created a tool allowing colleagues to read and sign the letter with their names and job titles, said Weston Fribley, a front-end software engineer. The tally of co-signers grew steadily Wednesday after the letter was published, he said. Amazon has some 650,000 employees worldwide, meaning the co-signers represent less than 1 percent of the company. But it’s still an exceptional number of employees to publicly pressure Amazon for a change. While Amazon has a long and growing list of climate-related initiatives, Fribley and his colleagues say this does not yet amount to a comprehensive climate strategy — at least not one that’s been presented publicly. Earlier this week, for example, Amazon Web Services (AWS) announced plans to purchase wind energy from projects planned in Ireland, Sweden and California. The company said the new projects, combined with its existing portfolio, are expected to generate about as much electricity as Nashville, Tennessee., uses each year. The company said that in 2018, some 50% of the power consumed by the infrastructure supporting its highly profitable but energy-hungry cloud- computing business came from renewable sources, halfway toward a long-term goal, albeit one with no publicly stated timeline. Likewise, the companywide goal of 100% renewable energy has no timeline. But the employees note in their letter that the same AWS infrastructure is used to help the fossil-fuels industry “accelerate and expand oil and gas extraction.” Amazon’s cloud-computing competitors also have dedicated businesses serving the industry, and the company also hosts data sets and provides credits to environmental researchers. Amazon in February announced a new program called Shipment Zero, a plan that addresses Amazon’s other core business of shipping purchases to customers. Under that plan, Amazon aims for net zero carbon emissions for half of its shipments by 2030. The climate-focused employees poke holes in the Shipment Zero commitment as well, noting that the goal of “net zero” emissions suggests the company would offset its emissions by planting trees or buying carbon credits.